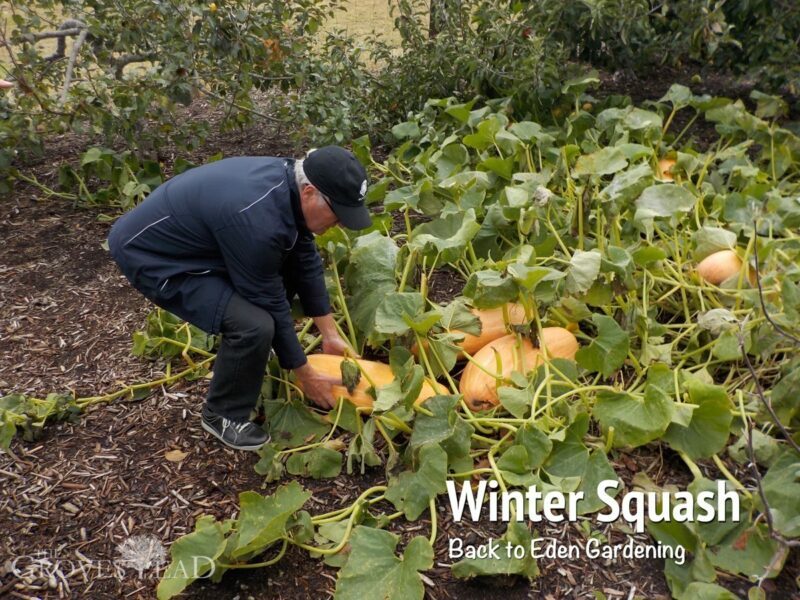 I’ve written on a few occasions of Back to Eden style gardening. 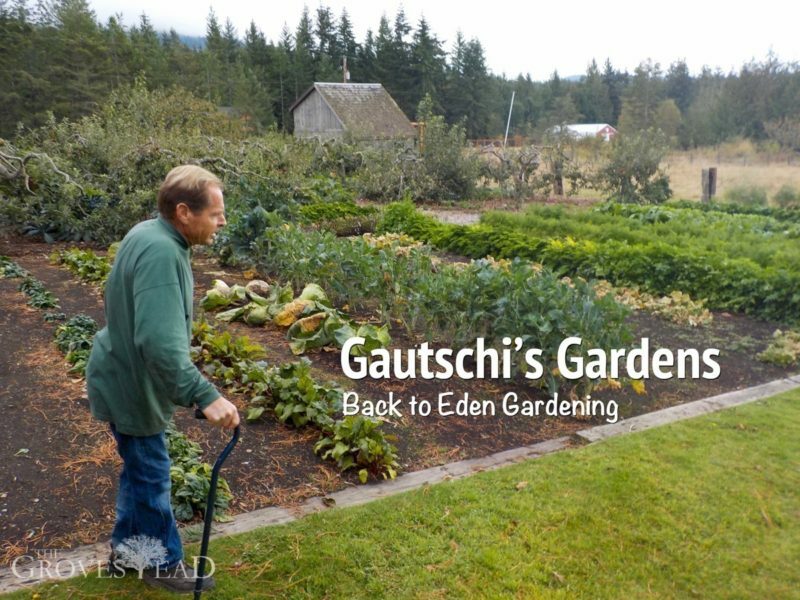 Back in October my Dad and I made a pilgrimage to the Sequim, Washington in the Olympic Peninsula to meet the man who started it all and see his own gardens: Paul Gautschi. 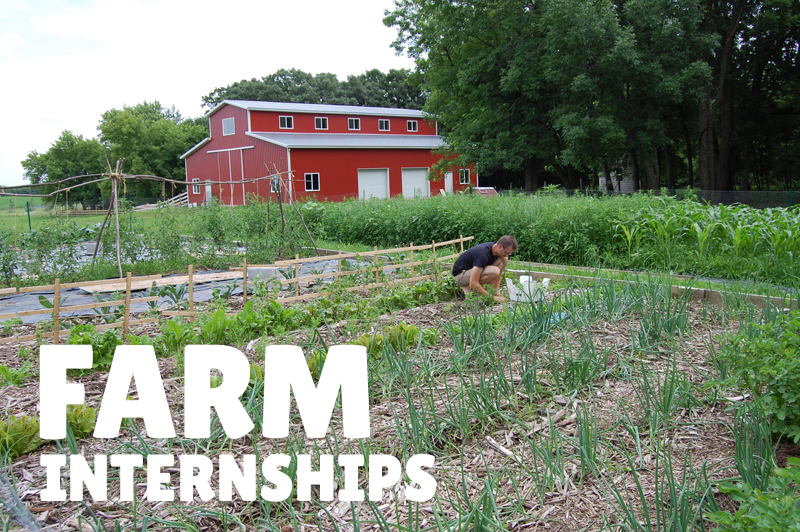 Every Sunday from April through September strangers from all over the world show up at Paul’s 1/2-acre garden to see with their own eyes and taste with their own mouths the incredible bounty of his gardens. And Paul is not ashamed to share the secret of his success. 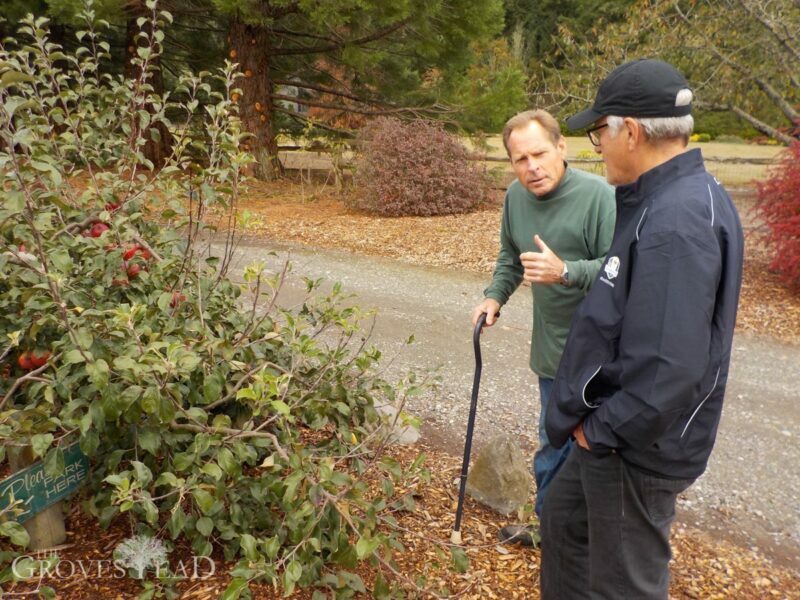 For two hours or more on his garden tours, Paul preaches about the goodness of God. Despite the hordes that descend on his property weekly to sample his fare, he still has more food than his family can eat. “My biggest problem is abundance!” Paul would often say. 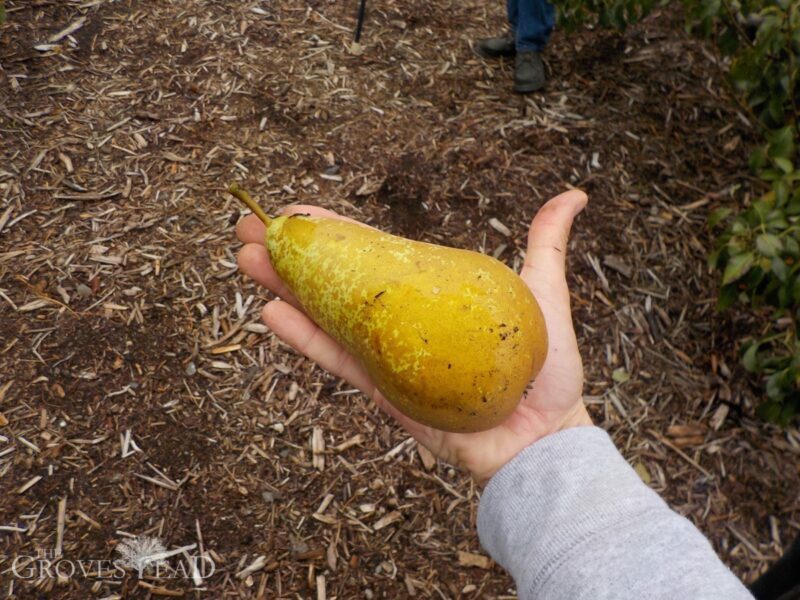 The pear I’m holding above was literally a meal. I felt full after eating it, which kind of bummed me out because I wanted to keep eating! Paul explained I felt full because I was eating live food. Fruit starts losing nutritive value the moment its plucked from the tree. When you eat live food, you’re body is absorbing the maximum quantity of nutrients, minerals, and water-soluble fiber. 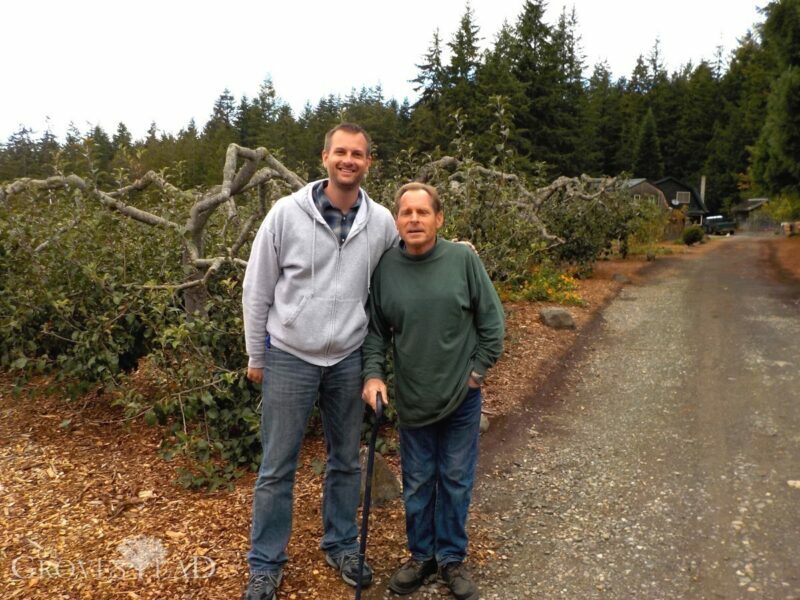 Because of the deep-mulch wood-chip gardening Paul uses, his orchards are so healthy and loaded with fruit the branches bow down to the ground. “You can’t prune a tree to do that,” Paul said. The soil is so healthy he can grow many vegetables in full shade under the tree canopies. 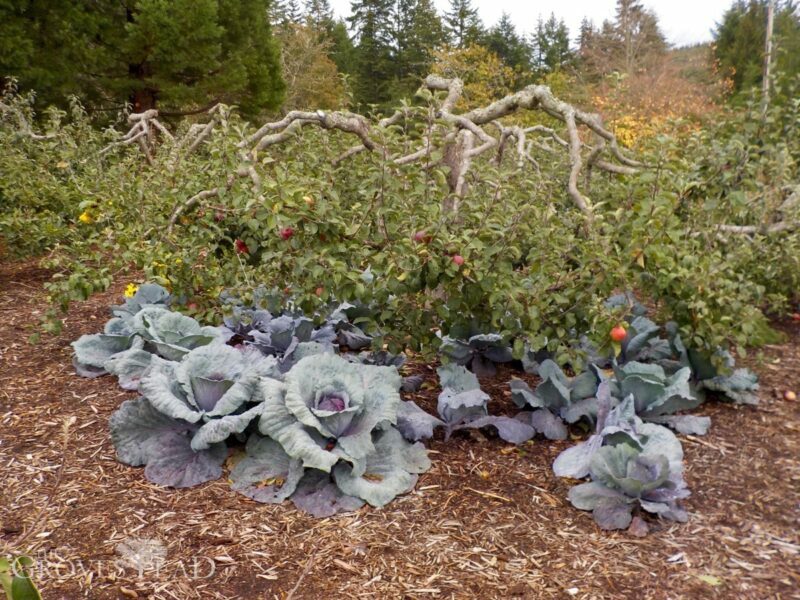 Turns out most vegetables do not need full sun — they need good soil! Besides abundant fruit trees, what’s the big deal about Back to Eden gardening? Tasting is believing. It’s hard to explain flavors I’ve never tasted before. The best I can do here is show you some pictures. 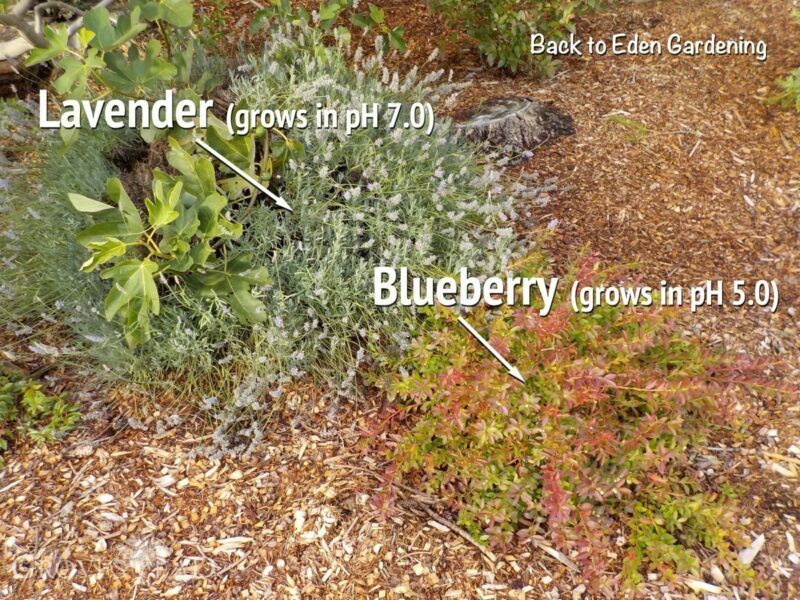 In this next picture you’ll see lavender growing next to a blueberry shrub. As anyone who has grown blueberries knows, they require highly acidic soil. They will absolutely not survive in high pH environments. Yet in Paul’s garden they thrive high-pH plants next to low-pH plants. 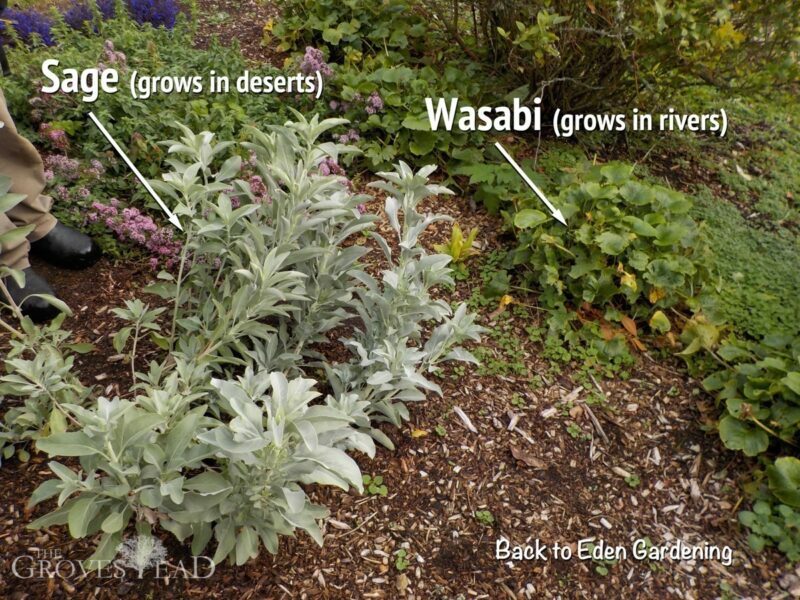 Same thing with Sage and Wasabi. This shouldn’t be possible, but there it is! 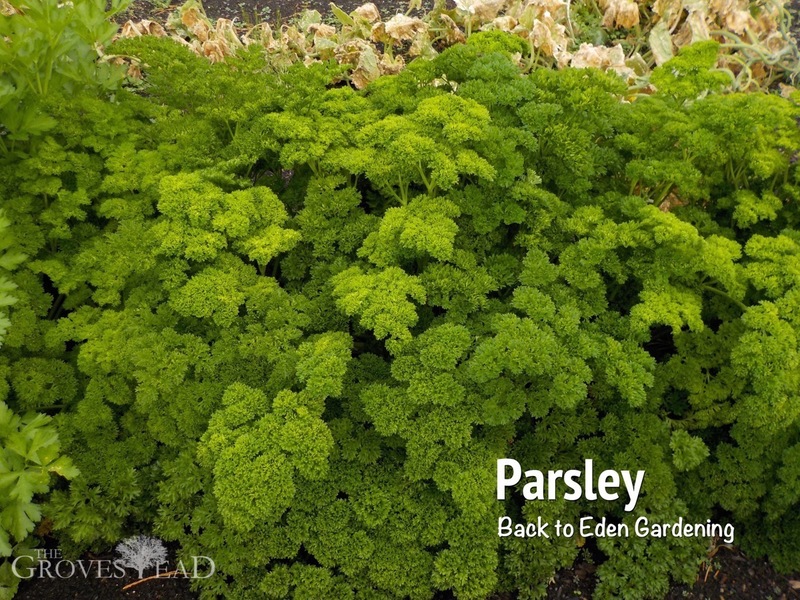 While Paul started with woodchips, he now grows all his own chicken food (they eat mostly kale and other garden scraps). 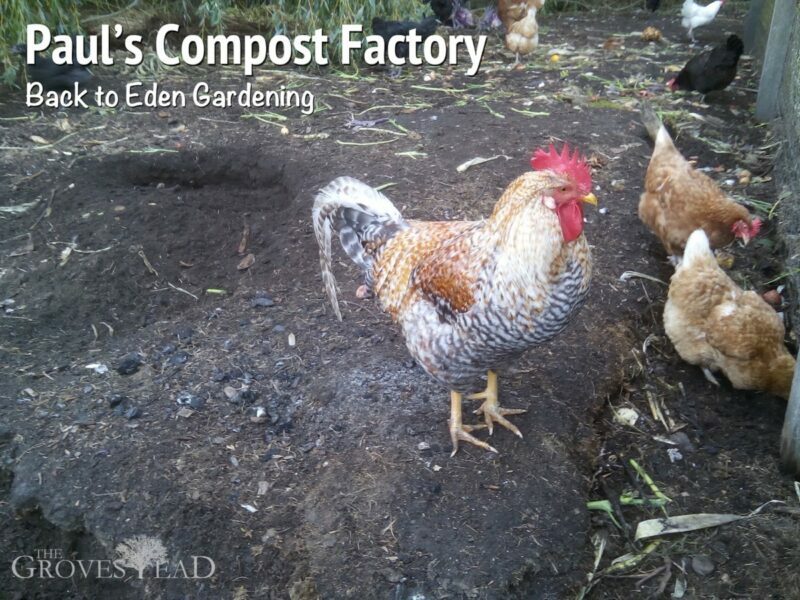 His chickens turn garden and lawn waste into nitrogen-rich compost which Paul uses for a Fall fertilizing each year. My mind and soul continue to reverberate in the aftermath of our time with Paul last Sunday. He is the epitome of God’s working in the lives of a person. Here is a man whose body has been ravaged by agent orange during the Vietnam war and yet exudes the loving grace of God beyond anything I have seen. The real benefit to people who come in contact with him is the potential of another changed life coming into alignment with the God of the Universe. The garden is only a byproduct used as a tool to bring people to Him. Maybe not intentionally but that is what’s happening. Wow! Thanks for introducing me to him! That time will forever be a pearl in my life! These are good questions and ones that I haven’t had a good answer for. Until now. I just plant more of the things I like to eat and less of the things I don’t and hope it all works out in the end. But after doing this for several years, that system is not working. 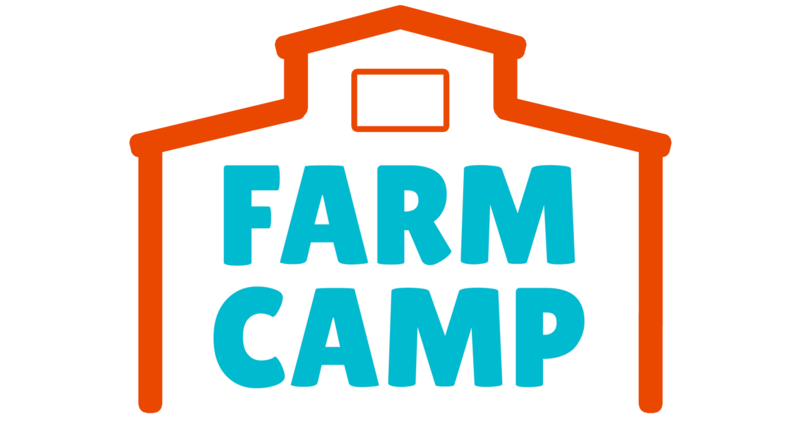 It’s a lot of work to plant crops you won’t end up harvesting and there’s a limited amount of time and storage when harvest season comes around. 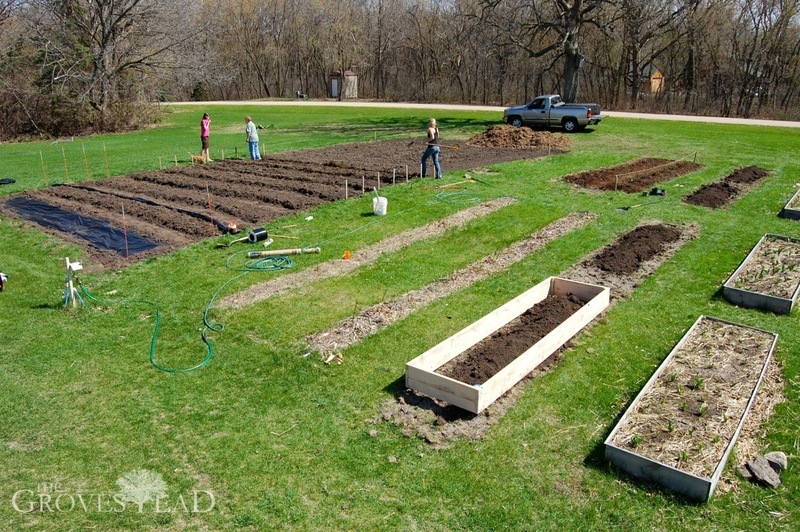 Planning the harvest to your specific needs is the only way to ensure you aren’t wasting precious time, money or labor. 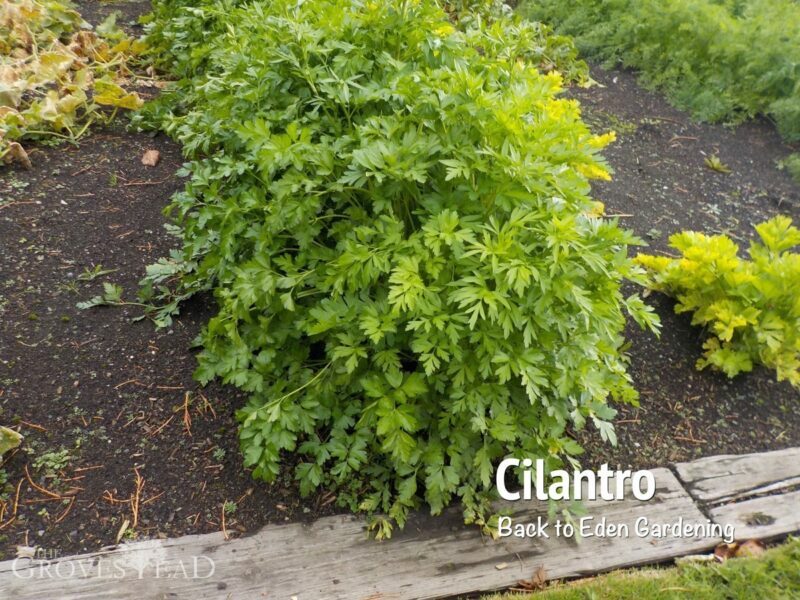 There are various “rules of thumb” on the Internet, such as “grow 5 celery plants per person”. But everyone has different preferences when it comes to diet. It makes a lot more sense to figure out plantings based on how much food you actually eat rather than vague per-person estimates. So over the holiday weekend I created a spreadsheet that lists every vegetable we grow. Next to each vegetable I enter the serving size for each meal and the number of meals we consume that vegetable each month. For example, 1/2 cup of corn once a week or 3/4 cup of potatoes 3 times a month. Then it calculates the number of plantings needed to produce that much harvest for the whole year. 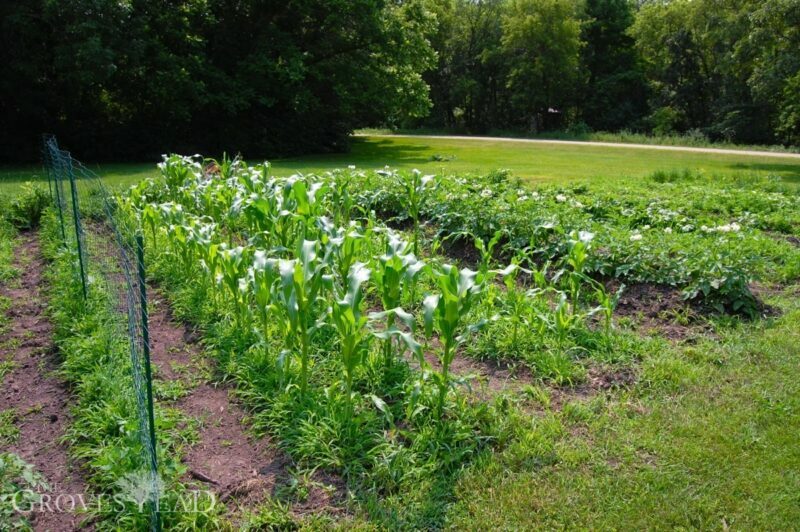 For example, 78 stalks of corn and 17 potato plants. I also added fields for Family Size and Sufficiency Goal so it is easy to change the calculations as our family and goals change. This year our goal is to grow 50% of our own produce. Lastly, I converted the spreadsheet into an online calculator and published it on this site so I could share it with others. It’s been a tremendously helpful tool already. 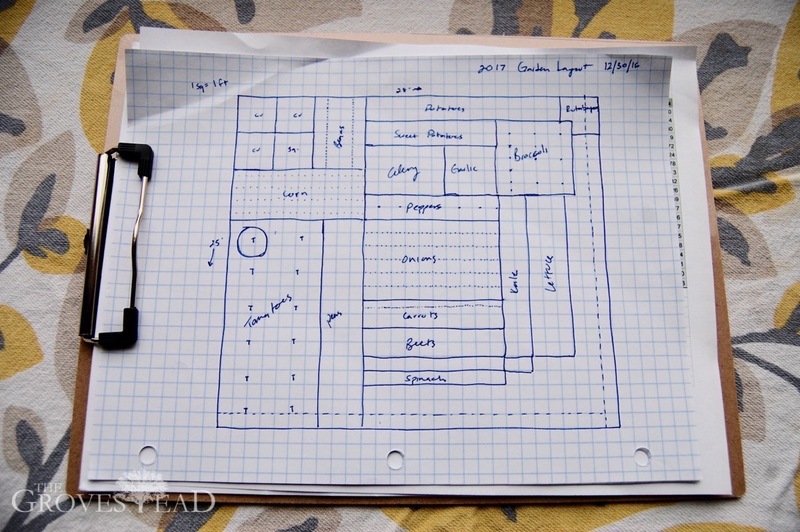 Besides knowing we need to plant 177 onion bulbs, I also know how much area is required for each vegetable, so I know how big to size the garden plot. 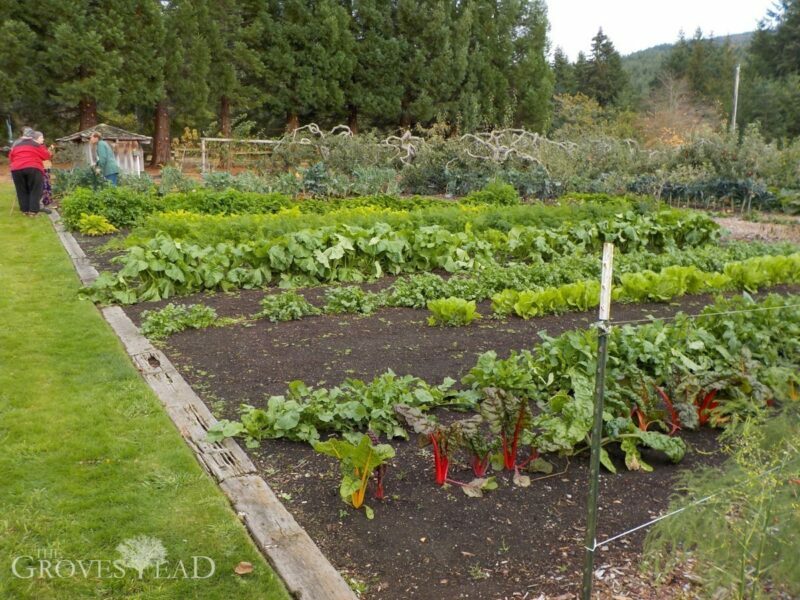 At 50% sufficiency for our family, we need a garden plot with just over 600 square feet, which is about 25′ x 25′. But if we wanted to produce all our own produce, we’d need a garden double that size. 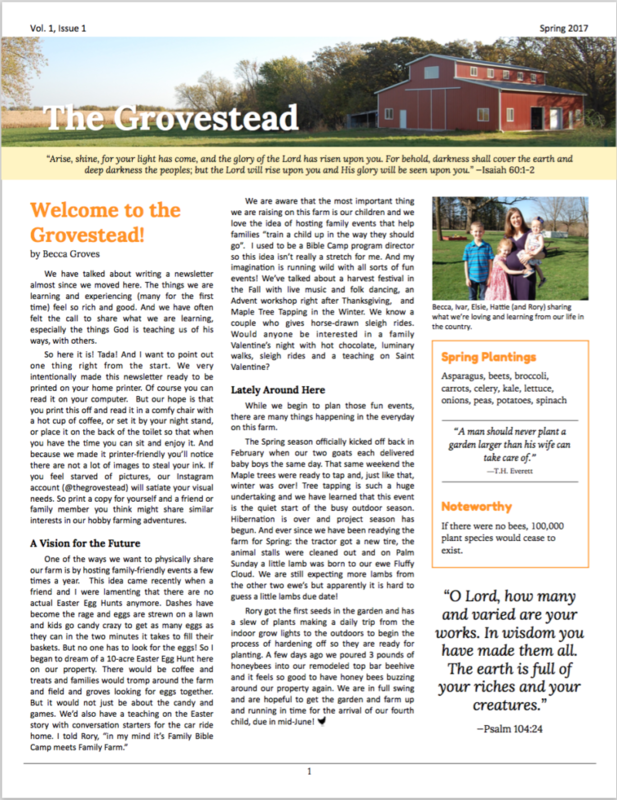 Click here to see the How Much To Grow Calculator or find it under the “Gardening” tab in the menu bar. Let me know your thoughts to improve it and any other vegetables you’d like me to list.